The UB Bulls are now ranked 14th in this week's AP Top 25 Poll released on Monday. 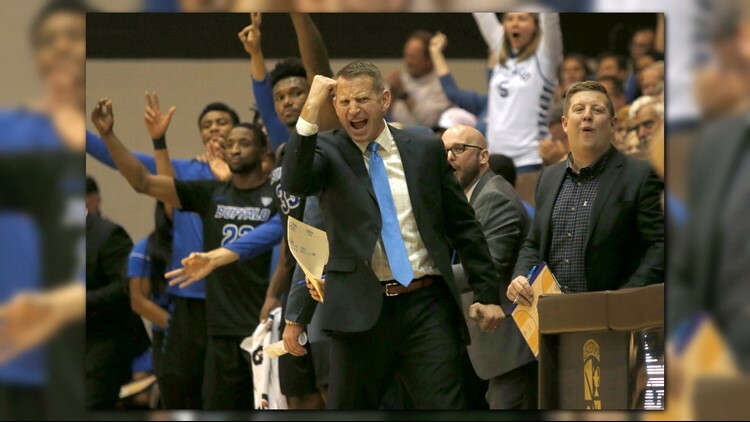 BUFFALO, NY - Nate Oats and the UB men's basketball team continues to climb up the national rankings. The Bulls are now ranked 14th in this week's AP Top 25 Poll released on Monday and 15th in the coaches poll. That's three spots up from last week's ranking of 17th. The new ranking is a new team best. They're now off to a 9-0 start after wins over St. Bonaventure and LeMoyne last week. UB is now one of just nine undefeated teams left in the country. Up next, the Bulls host Southern Illinois this Saturday before heading to Syracuse next Tuesday.